Ananda Glover is an incoming freshman from Winnfield, Louisiana. 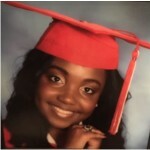 She was ranked 7th in her graduating class with a 3.7 GPA. She attended Winnfield Senior High where she maintained 11 years perfect attendance and was involved in Beta-vice president, FBLA, National Honors Society-president, Spanish Club, Anchor, 4-H, character counts, tiger mentors, and National Society of high school scholars. She was also a cheerleader, ran track, and also kept stats for boys basketball. Ananda attended Mt. Pilgrim Baptist Church where she was a part of the praise dance team, drill team, step team, and youth leaders. She is also a 1st degree black belt in karate. 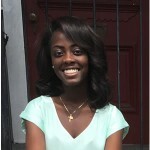 This fall she started attending Southern University, majoring in therapeutic rehabilitation. In April she made the SU cheer team and is extremely excited to be cheering in Mumford Stadium; along with being a part of Southern University. Go Jags! Paula-Marie Mensah is a junior Mechanical Engineering major at Southern University Agricultural and Mechanical College in Baton Rouge. She is involved in many organizations on campus and in her community; such as the National Society of Black Engineers of which she serves as Secretary. She also serves as President of the Honors Student Association, and Chief of Staff of the Association of Women Students. Paula-Marie is currently a member of the American Society of Mechanical Engineers, Society of Woman Engineers, Louisiana Collegiate Honors Council, STEM NOLA, Habitat for Humanity Volunteers, and African Christian Fellowship Youth. She enjoys cooking, reading and spending time with her family and friends. She plans to graduate in the spring of 2017 and pursue a graduate program in Engineering. Jaylen Scott is a Sophomore Mechanical Engineering major from Baton Rouge, Louisiana. He humbly serves as Southern University’s American Society of Mechanical Engineers (ASME) Community Service Chair. Jaylen is a member of Southern University’s National Society of Black Engineers (NSBE) chapter. He is also a Spring 2015 inductee of Southern University’s Collegiate 100 Chapter. 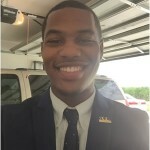 He has been a member of Southern University’s 2014-15 Men’s Federation Cabinet. Jaylen currently upholds a 3.77 grade point average and was a member of Southern University’s Dean’s List 2014. He is Southern University’s Honors College Inductee 2014-present. In addition to his collegiate accomplishments, he is the proud son of Charlene Cannon Robinson.